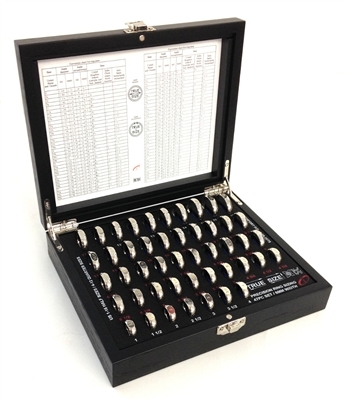 This professional and classy looking ring sizing set will give the ultimate first impression on your customer looking to buy an expertly crafted ring. This all in one Ring sizing set is precision ground to complete the most accurate set of ring sizer's available worldwide. 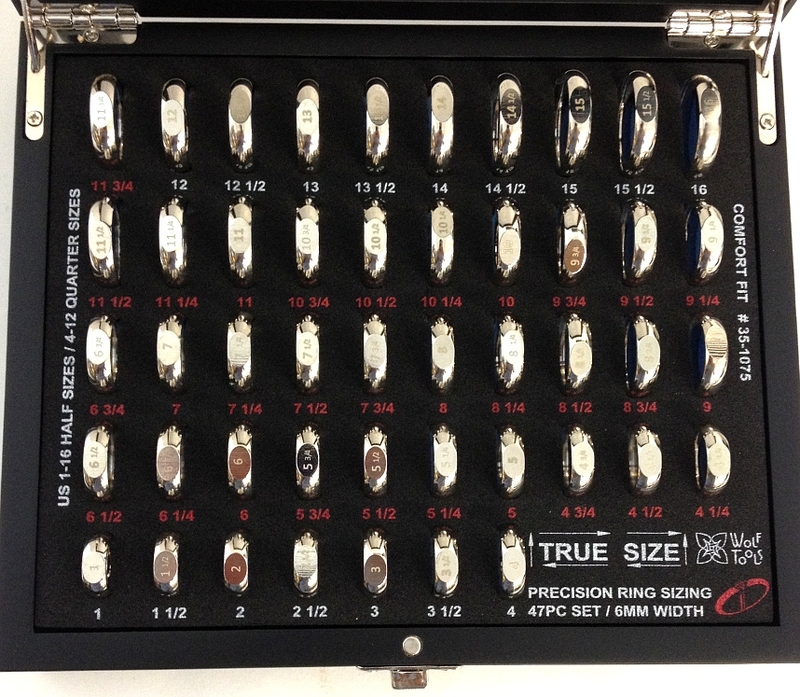 Not only do they measure in full and half sizes like the conventional ring sizers, these ring sizers also measure in quarter and three quarter sizes! The measurement conversion chart on the inside lid of the box makes it simple to convert North American sizes to any known sizing standard in the world. It also will tell you the inside diameter and inside circumference of the ring. This professional and classy looking set will give the ultimate first impression on your customer looking to buy an expertly crafted ring.